LET’S be honest . . . 30 years is a long time between ‘hits’. Yet that’s how long it has been since Nelson Bay Golf Club hosted a pro-am, hosting some of the best professional golfers in the state. This will just be one of many major moments that will take place at Nelson Bay this month as the club prepares for one of the momentous marks in its history . . . the opening of the new $10m clubhouse. Those disastrous moments of Father’s Day, 2015, when the clubhouse, which had stood for 55 years, burnt almost to the ground, will be nothing but a distant memory this month as the club surges back into the marketplace with a spanking new structure not quite as big, but certainly more functional than the previous clubhouse. 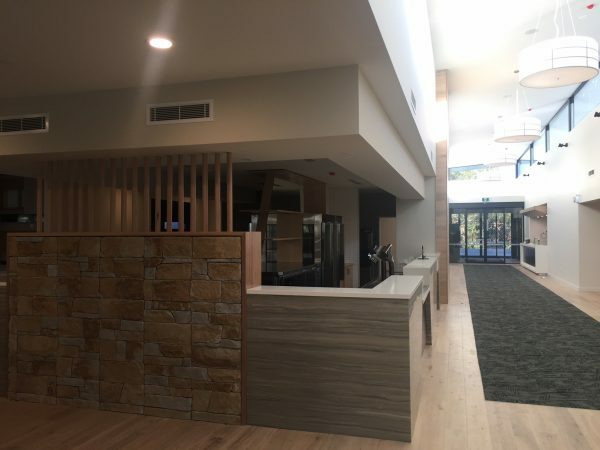 The new purpose-built clubhouse includes a lift for easier access, a function room with dedicated bar, a sports bar and a children’s room – extra services and areas the club has been able to provide in the rebuild. Another interesting addition to the new club is retail space area which has been built on the lower level and which the club are looking at leasing to generate additional revenue. The Club officially opened its doors in the first week of August, but it will be from August 21-27 that will provide a week for the members to talk about for years to come. Members’ special golf events and functions are planned from Monday through to Thursday of that week while Friday will be a business partners lunch. Saturday, August 26 will be the official opening dinner with Sunday, August 27 an open family fun day, which should ensure everyone has had their chance to inspect the new premises. 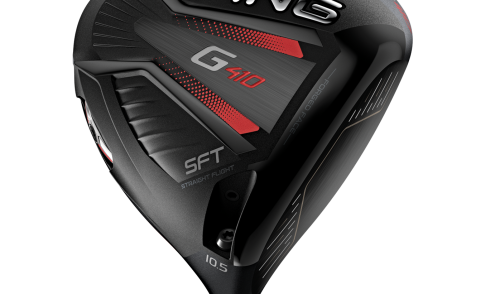 September 7 has been set aside for the first pro-am since 1987 so the Pros will get their chance to savour the new club as well. “There was a pro-am planned for late 2015 but the clubhouse fire meant it had to be called off,” said Nelson Bay Golf Club Sales and marketing manager Natalie Kelly. There is probably little chance of having that last pro-am winner David Saunders, or indeed the first pro-am winner there, Bob Stanton on hand to do battle in this return to the fairways. Still top-flight professionals Peter Lonard and Nathan Green – both winners in the US – have confirmed they will play if they are in Australia at the time. 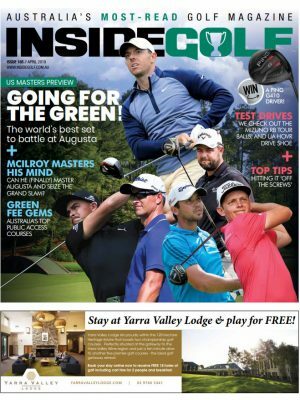 And for those of you who have not recently been to one of the best country clubs in Australia, now is the time to refresh your memory and contemplate a return to one of the truly most beautiful areas of Australia . . . Port Stephens. 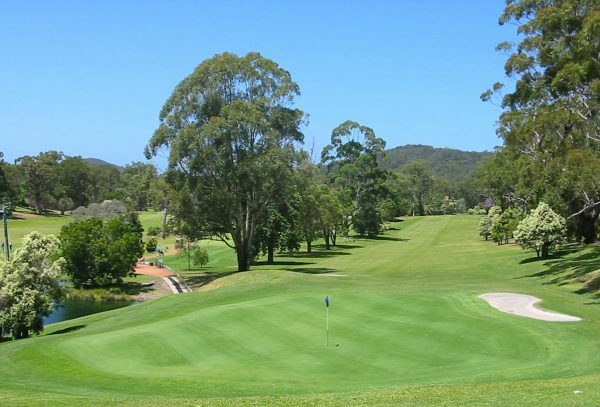 Nelson Bay Golf Club’s 27-hole layout is set among native trees with an abundance of wildlife such as kangaroos, wallabies, native birds and even an occasional goanna or two. Indeed the relaxed and sedate kangaroo population have become quite a tourist attraction for anyone visiting the area with tours running daily. The University of Sydney has also been conducting a research study on the kangaroos since 2012. 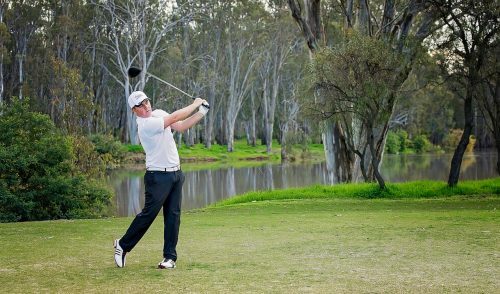 Nelson Bay has long held a reputation for being one of the most public access-friendly courses in NSW and for good reason – it offers a variety of exciting challenges in an immaculate setting. One of the holes that will have you talking about as you analyse your round is the famous 490m par-five 12th. 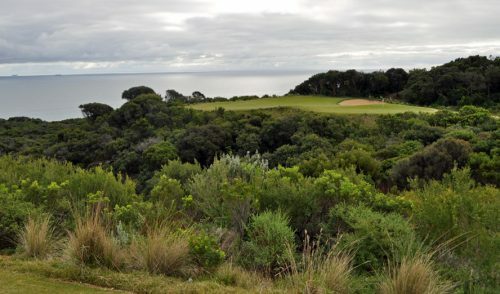 If you’ve never played it, then you should as this unique hole is a tight, bushland-bordered bender that makes its way up a long hill. Accuracy is certainly the key here as you need to pick your landing ones carefully . 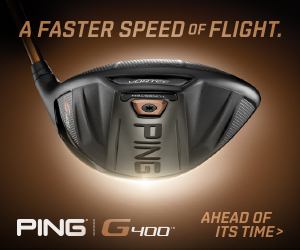 . . or you’ll be chipping out sideways. Straight after you chalk up an excellent birdie or a disastrous triple bogie or somewhere in between, you’ll find the serene lakes and deceiving bunkers make the 13th and 14th holes pretty to view but punishing if not navigated properly. Arguably the club’s most picturesque hole is the 18th, which is surrounded by blooming Christmas bush in the summer months and if there is a hole where the roos seem to relax you’d better have your camera ready between shots – you’ll need it as the new clubhouse also comes into view. The Bluewater Grill restaurant staff, who have stuck by the club since the building and restaurant burnt down, will also return. Additional after-hours services will also be provided once the clubhouse is open and operational. The function room has been moved and a bar added so guests do not need to walk through the clubhouse, plus upgraded with the latest technology making it suitable for conferences and corporate events. The children’s and upgraded function room provide new business opportunities for the club too,” added Kelly. 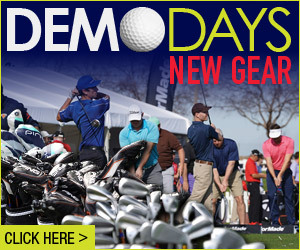 “We can now look at the weddings, corporate golf days/events and conference markets,” she said. The list of facilities in the new clubhouse includes: Main bar; Sports bar with full gaming facilities; Café/lounge; Bluewater Grill Restaurant; Kids room; Function room with dedicated bar which can seat 180 people or a cocktail party for 230; Boardroom; Wedding site behind the 20th tee; Fleet of 40 brand new golf carts; Fully-stocked proshop; Practice putting green and driving range. “We’re also collaborating with Landmark and Mantra next door for accommodation to make Nelson Bay Golf Club an all-inclusive solution to any event type,” said Kelly who has been working with tourism operators around the Bay and Destination Port Stephens to encourage further visitation – enticing visitors to the club and golfers to explore more of the Bay’s offerings. 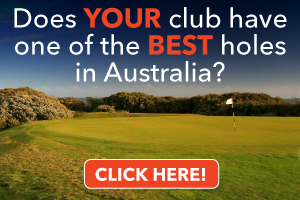 Membership at Nelson Bay Golf Club is currently available for all playing categories as well as social membership. Nelson Bay Golf Club is located just two and a half hours north of Sydney and is nestled by the Tomaree National Park near the pristine waters of Port Stephens. Group of 100+: $34 weekdays; $40 weekends. Motorised carts $40 visitors for 18 holes ($25 for nine holes).